Best polish name ever! lol!! Anyway these were my birthday nails =D it was my birthday last Saturday the 20th and I gotta say I loved them! 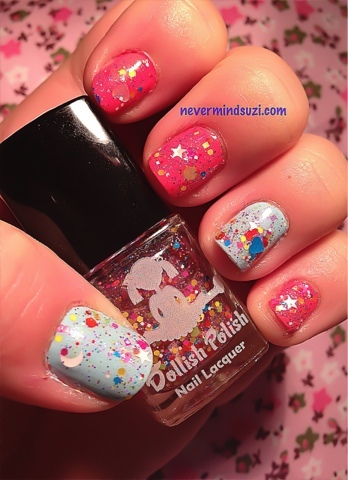 A unicorn farted in my polish is just that, a plethora of multicoloured, glittery goodness, there are no words to describe how amaze-balls this polish is! I wore it over Nails Inc St. James Park and Chelsea Psychic Gardens and it looked great over both. I think I'm in love! Is this easy to get hold of or is it really rare?